Bizarrely, an obscure government consultation may hold the key to advancing true Localism. Odd as it may sound, but nuclear waste management policy could be a vehicle for turning recommendations of the Commission on the Future of Localism into reality, by supporting the creation of a radical new democratic model that empowers communities to shape their own future. Parallels between the Localism Commission’s Report and the ‘Working With Communities’ (WWC) consultation document are not immediately obvious. That’s not surprising: they may have been published in the same week, but the two documents come from very different worlds. However, take a closer look, and if you try to “translate” the WWC text into the language of localism, it becomes clearer that while the documents started in different places, they’ve arrived at very similar destinations. 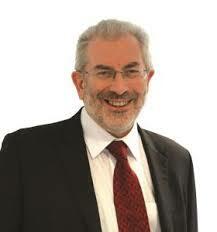 Locality Chief Executive Tony Armstrong recently said,”power starts with people. It lies in our communities. 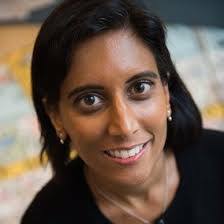 The task of the political system and our local leaders is to harness this power through ongoing relationships, engagement and co- creation.” Vidhya Alakeson, Chief Executive of Power to Change added, “localism should enable local solutions through partnership and collaboration around place.” These sentiments, though articulated differently in the WWC document, are central to its proposals. They are central because government needs a community’s ‘consent’ in order to construct the waste repository. It cannot simply just impose a solution, it needs to negotiate. Previous attempts to find a consenting community have foundered on the flaws of local authority and short-term decision-making. So government has been fundamentally reassessing what it needs to do to gain a community’s ‘consent’. They’ve reached a radical conclusion: you need to work collaboratively in equal partnership with the community, in a process that works alongside of, but is independent from, local authority governance. The WWC proposals may have accidentally stumbled into a reimagining of localism, but they certainly give substance to what Lord Bob Kerslake calls “the four domains of localism”: institutions, powers, relationships, and community capacity. Institutionally, the WWC proposes that the key decision-making body would be a ‘Community Partnership’. Membership, roles, responsibilities, powers, and dispute resolution would be set out in a ‘Community Agreement’. Negotiations for this Agreement would necessarily involve discussing a rebalanced relationship between local authorities and the affected community. The Agreement would also set out how the wider community engaged and participated in the decision-making process. More importantly, the WWC proposals recognise the critical requirement to build community capacity. Community participation and engagement costs would be borne by government, with the community able to fashion how their capacity needs were met. And there would be “significant” additional short and long-term funding to help the community invest in and realise it’s ambitions. The reasons why the waste repository may never be built in a particular community are legion. It might be decades before a final decision could even be made. But during those years, the WWC proposals, if implemented, could be used as a ‘localism laboratory’, testing ideas and learning lessons that could be applied more widely, to create case studies that showcase the effectiveness of community-led local democracy. Much depends now, given other pressures, on whether the community sector has the capacity to assess this unexpected opportunity. From a localism perspective, the WWC proposals are ‘raw’ and do need informed shaping while they’re still out for consultation. Supporting the interpretation and implementation of the proposals will also be welcome, especially by those communities already with an interest in entering the process. Because those communities which do become involved will need the counsel and support of the wider sector, to help protect and promote their interests as the terms of this new and unique community partnership model are bartered and rolled-out. The subsequent experience of operating the process would undoubtedly help inform and advance the wider localism agenda in very practical ways. 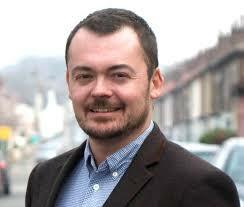 Better ideas: a localism legacy? 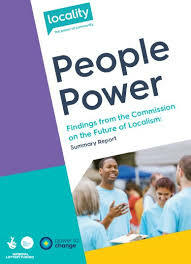 The Localism Commission concluded that “we need radical action to strengthen our local institutions; devolve tangible power resources and control to communities; ensure equality in community participation; and deliver change in local government behaviour and practice to enable local initiatives to thrive.” Reading through the WWC proposals with a localism lens, you can begin to see the possibility of achieving those objectives. The Commission observed that until the Brexit furore settles down, there is little expectation of the localism agenda being advanced. In the absence of any immediate alternatives, the WWC proposals may merit a look. If you want to find out more about the WWC proposals, open public workshops are being held around the country in February and March. These may be a helpful starting point for considering how the WWC proposals can be developed. Even if we don’t ultimately solve our nuclear waste problem, on the journey there we might still create a localism legacy. A more detailed ‘translation’ of the Working With Communities document, and how it relates to issues and recommendations the Localism Commission Report, can be found here. This is true outside the UK too. Excellent insight! Also very insightful to connect the Localism and the WWC work. Viva Democracia! Thank you for your insights and vision. One significant problem so far not addressed is so much of the information on which citizens are supposed to make decisions about the prospective GDF is inaccurate and/or misleading by omission or commission. As such it repeats mistakes already made several times over. The democratic deficit comes because the citizenry might not know how to distinguish between accurate information and distorted or fake facts.